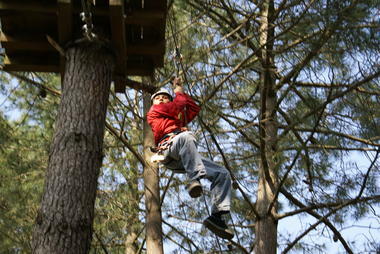 Adventure in a natural setting, a new adventure! 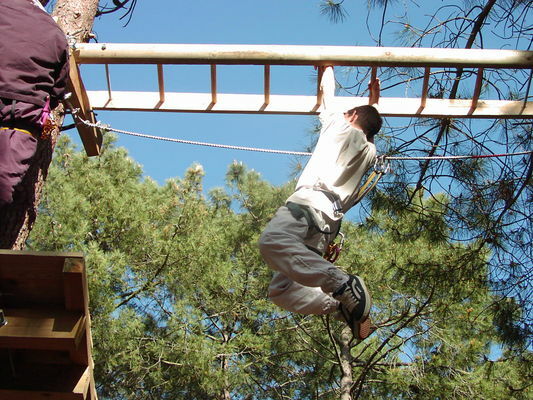 Gateways swings, monkey bridges, zip lines, the Forest of Accromaniaques available to you for thrills in a totally secure environment. 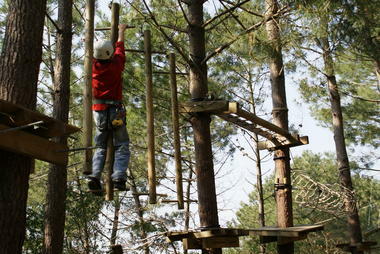 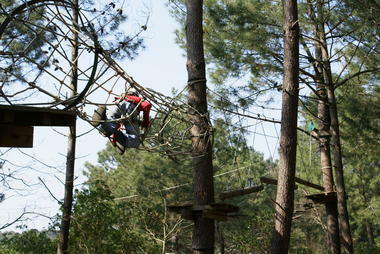 The park is located on the natural domain Vitalparc, Baganais road in Lacanau Ocean. 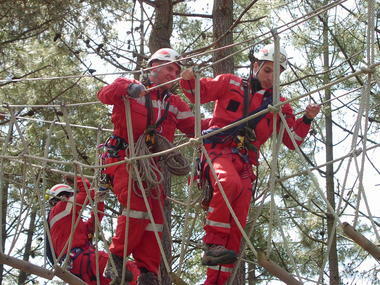 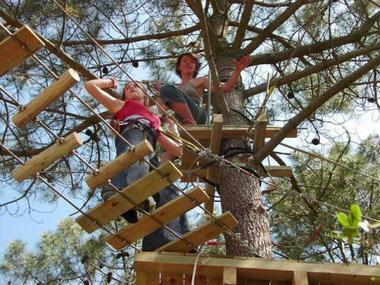 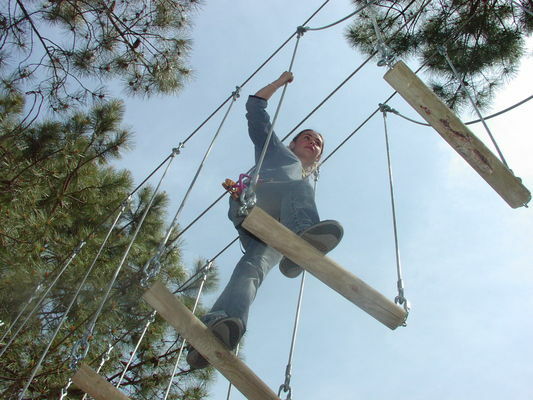 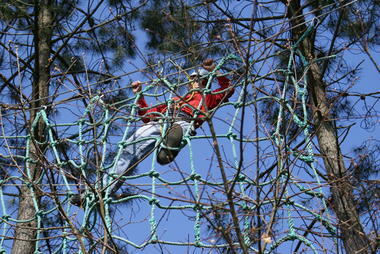 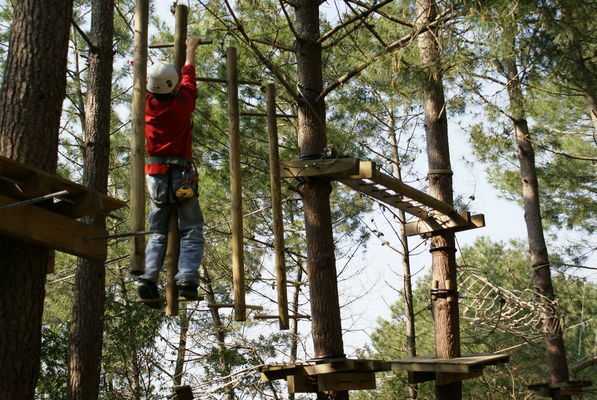 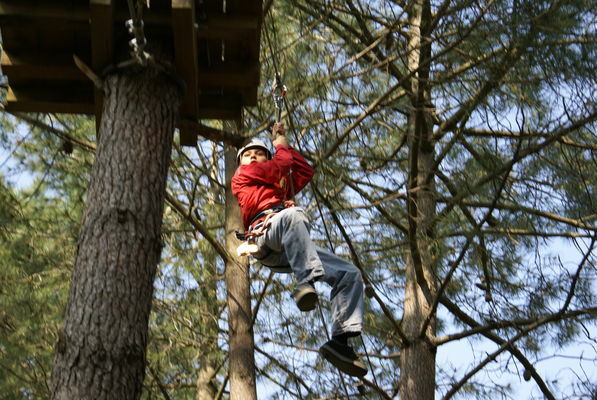 Fun course with 12 platforms for small and 40 large with rope bridge, zip-lining, the pendulum jumping, barrel passage and other skates ... All activities are supervised by professionals. 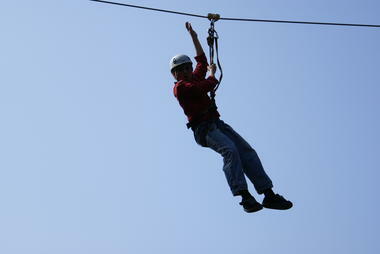 The equipment is supplied with a harness and helmet and it is best to come to court and pants. You will not be disappointed with the course in perfect harmony with nature. 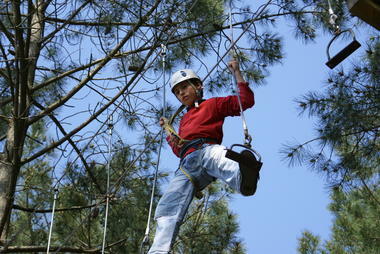 Dare a sensational journey with family or friends!